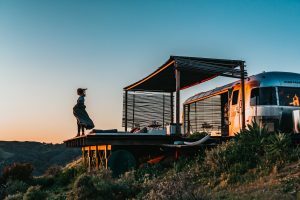 San Diego has tons of amazing sites and attractions to visit, making it one of our top 10 RV rental destinations for camping. For a list of RV Rentals that deliver to these campgrounds, click here. There are many beautiful beaches and parks to enjoy and lots of sightseeing to do. There are a wide variety of excellent campgrounds in San Diego that have RV access. 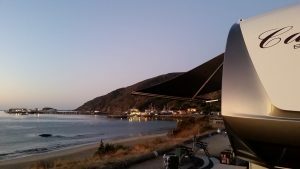 Below are the top 10 RV campgrounds in San Diego. San Diego RV Resort is walking distance from San Diego Trolley’s Green Line, making it easy to get to downtown San Diego. Additionally, it is located right next to Mission Trails Regional Park and is in close proximity to many local attractions. The resort-like amenities make for a relaxing and enjoyable vacation. One of the most popular and top rated RV resorts in San Diego. 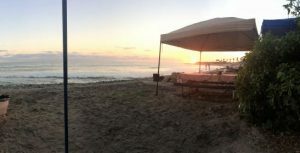 This RV park is located on Mission Bay and boasts its own private beach for guests. Families love this destination campground, and for good reason. Campland offers free WiFi, a dog park, and a private beach, Huff and Puff Park for Kids and a variety of activities geared towards kids make this a great place for a family vacation. This is a great spot for those who are seeking adventure. The campground offers a range of activities, including, bike trails, fishing, scuba diving, snorkeling, windsurfing, and surfing. The campground sits on a bluff overlooks the beach, making for an amazing view. It is a three-minute walk from town center of Cardiff. 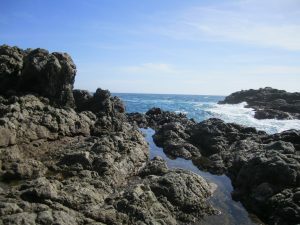 The available activities include camping, swimming, and surfing. The campsites at Cuyamaca Rancho State Park sit in the middle of an oak woodland forest. There are many opportunities for getting out into nature with hikes, biking, and equestrian trails. San Onofre is one of the most popular beaches in California. There are a number of great surf spots for surfers of all levels. This location offers many opportunities for outdoor activities such as biking, hiking, fishing, scuba diving, snorkeling, and swimming. The campsite includes a fire pit and a picnic table. San Clemente State Beach is a well-liked spot for surfers. This is also a great place for swimming, hiking, and skin diving. One of the beach’s highlights is the picnic area that sits on top of a scenic bluff. Mission Bay RV Resort is located nearby many of San Diego’s Beaches and attractions. Staying makes it easy to experience all of the excitement that San Diego has to offer. This campground includes a full-time activities director, so there are always fun activities to participate in. You can check out the basketball court, play a game of horseshoes, or head over to the climbing wall. The on-site restaurant ensures that meal-time is easy and convenient. The Chula Vista RV Resort has access to the marina, the beach, and acres of parkland. It also offers a waterfront restaurant and free WiFi.